Heaven help the guy who claims he can predict the future. If it were possible it would mean that there is some kind of logic to markets and human behaviour and we must know by now that that is an oxymoron. Nevertheless at this time of year we try to look ahead and check the pulse of the year’s events and see what kind of creature it will turn out to be. Culling predictions from sources such as Peak Oil pundits and The Guardian UK and even Max Keiser on RT there does seem to be something like a consensus about 2011emerging. Not everyone thinks it will be a terrible year, however most, to be truthful do, but in a year when some terrible things will happen, I think it might be more interesting than people think it will be. Oil will reach $120 a barrel and it will frighten investors and cramp any growth in the US and Europe. But what is driving it? China growing at 10 percent or more. Already the Chinese have signalled that are aware of runaway inflation (currently at 4.6%) and raised interest rates in late December 2010. But I don’t think the Chinese Communist government is actually in charge of this runaway train or the banks lending vast sums to ‘entrepreneurs’ and China will steam ahead, sucking in the West’s and Africa’s raw materials and providing tyrants such as Mugabe with fortunes he could not have imagined with which to crush all opposition to his cruel vindictive ways. Staying with Africa, watch out for the inexorable rise to power of Joseph Malema who is modelling himself on Chavez (and Mugabe) and will ultimately become President and destroy the South African economy. This won’t play out yet, but already South Africa is positioning itself in political alignment with Iran and North Korea, which isn’t a good sign by anyone’s book. Where will gold be in 2011? A big correction and profit taking when interest rates rise, then a sudden surge again when we realise how financially precarious some countries are (such as Spain). Buy on the fall. Oil at $120 will affect Europe’s recovery but equally spur investment in electric engine technology. The Japanese have the edge right now but with luck BMW and Renault will catch up. (Nissan Leaf versus Chevy Volt for example but then again the Leaf can only travel 100 miles between charges and that seems absurd to me. Go out buy a Fiat Bravo Diesel and get 57mpg like me suckers.). High price oil will also make the UK coalition finally give the ok to new nuclear power stations (to be built by EDF). We can hate nuclear power and the radioactive waste problem, but we’d really hate a world that rations electric power and puts the country on three-day weeks because there is no power. (UK nuclear power stations have to close by 2017, as they are too old and inefficient). The real shame is that much investment will occur in wind power and none of the wind turbines are manufactured in the UK or for that matter Solar PV development. China again seems to have stolen the march on us all. A government programme to put Solar PV units on every private and Government roof would pay for itself and be cheaper than building one power station. Can’t someone in the Coalition pick this up? There will be much strife on the streets in the UK as the Unions and Students protest over cutbacks. British Airways will go endless on strike and this time with a new union boss might succeed in destroying the airline. This might culminate in some kind of surge for Labour in the May local elections (everyone conveniently forgetting that Labour put the UK a dn Ed Balls in particular into this mess to begin with). But how can they promise to reverse the fees for students when they themselves commissioned the report it was based upon? Nothing will be resolved and even though Labour will end up controlling all the major towns and cities – the Government control the purse strings and they will cut funds to the towns and cities more deeply thus making Labour councils raise taxes ever higher to pay for the 100,000 parking wardens, social workers and stress outreach officers they want to hire. Inflation will plague us all. It is much higher than everyone realises and although everyone says house prices will fall – I don’t see how since a: hardly any are being built b: the population is rising. So if anything, I see houses rising faster than anyone predicts except in areas where there will be major government worker cutbacks where the fall for maginal homes might be catastrophic. To test this theory I have put my own house onthe market. I’d also be wary of buying in cities where it is likely that Universities may contract or close. (Portsmouth comes to mind where the Royal Navy is contracting fast and it would hard to imagine any degree course at most UK Universities outside the Russell Group being worth £9000 a year). Because we have inflation – interest rates will have to rise. When? How? That’s much harder to predict. But it is hard to believe that interest rates won't be at 2% by the end of 2011. Blame China if it goes even higher. There are people such as Nicole Fosse seen on the Keiser Report (No 105) who sees Canada heading into major recession and 90% fall in property prices. You can’t take anyone seriously who says such things. Sure Western Canada is due a correction, but Montreal prices are still pretty comparable with the UK and European Cities and the Canadian economy is fundamentally strong by contrast to most countries – especially the USA. But then again contrarians are saying that the USA will bounce back much faster than people think and that would be a good thing. (Evidence for that is that Florida house prices have stopped falling). 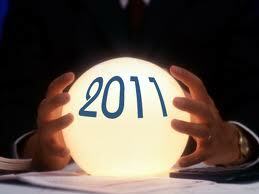 2011 will be a mixed year of uncertainties mostly. Obama has to take troops out of Afghanistan as promised. Some say it is too early. But the truth is, the Taliban will be back in charge there sooner or later and there is nothing anyone can do about it. Might as well get American troops home and learn from the incredible foolishness of fighting an ideological war and start rebuilding America’s finances. (Just so Sarah Palin can start another war in two years time - sigh). Can Spain survive in the Euro? Can any of the smaller economy countries stay in the Euro? I think that scenario has yet to play out, but it won’t happen until 2012 when many more financial chickens come home to roost. The truth is, we all live on borrowed money and it is a horrible house of cards. (Yet still the bankers take home million pound bonuses). See James Skinner's reports on the future of Spain in this issue and previous editions of Hacks and regardless of what James has to say about Spain it continues to be a great country. There are hundreds of thousands of very good intellectuals, politicians, economists and other superb educated and intelligent Spaniards. It is a shame that Zapatero has led the country towards (political) disaster over the last 7 years. His ‘management’ team is more like the Marx Brothers than a serious collection of top notch managers. Hopefully Spain will emerge from the ashes. Worth asking why in the UK we never don’t seem to be competing in this technological area or innovating with new ideas. Is it cultural? Financial? Are we too small to count anymore? Probably a combination of all three. All my electronic devices are Apple but made in China for example. I can't even imagine buying a UK electronic device, not even a phone. 100 years ago of course everything new or cool was British - but that was 100 years ago. It's been a long withering on the vine I think. Will the Wikileaks phenomena continue? Yes. It will begin to affect the way ‘public and Government discourse is done but the cat is out of the bag now and to be honest is it such a bad thing to know the truth about what is happening behind the scenes? Are we so surprised that Saudi and others are afraid of an Iran with an atomic weapon? I’d be more surprised if they welcomed it. Funny how atomic bombs always attract the craziest guys in the room. Akira will come true! It would be good to think that the coming oil peak will finally spur the USA to start investing in light rail and electrifying the railroad (and building new lines). America is such an obvious place for superfast rail and it is so much more economic than aircraft as a people mover, it’s crazy no one has invested in rail there since the 1890’s. Sadly all the money has gone to bankers who invest in nothing. How many trillions are they hiding off shore that could be put to work in rebuilding the economy instead Imagine if that quantative easing money had really gone into infrastructure instead of bank bonuses – what a wealthy and successful country the USA might be on the way to becoming. Imagine that instead of the Healthcare legislation they had spent time thinking up a way to stop American’s becoming so obese and then burdening the future health care system. That’s the slow moving tidal wave that will engulf American in 2040 onwards. Be nice if someone grabbed that political horn and rode it into Washington. What about publishing? Well Borders in the USA teeters on the brink, HMV is suffering here and CD and DVD sales decline and people prefer to shop on-line. And the writing is on the wall as Amazon sold 6 million Kindles this Christmas and that going to be a lot of e-books sold. The iPad is selling steadily too 7.8 million during Christmas. Expect the e-book to become a real force in sales this year and at some point people demand more from it than just text and price. How we consume print, news media and TV will all change over the next year. Twitter, Facebook already demand so much time and newspapers will as is already happening transfer to a pay model on iPad and other mobile devices. A tipping point might be reached in 2011 that it becomes uneconomic to print on paper. Inflation will play it's part in that change too. People are already watching less TV so that trend will happen and Facebook and other social media will expand into video, people will live on-line recording their lives and stories for all to see with many unintended consequences. (People already do this on YouTube but it will go mainstream - it seems there is an insatiable appetite for 'reality'.) I hate it but as Warhol said, everyone will be famous for 15 minutes. (All 7 Billion of us - that's a terrifying thought. Strife, high oil prices, Euro defaults, Israel v Iran, North and South Korea tinderbox, China growing in power whilst Europe weakens… doesn’t sound so great does it? Counter that with Royal Weddings, the fact that people will still fall in love and want children, will still hope for better times – maybe this will be the year when people try to take charge of their own destiny instead of believing politicians can do it for them. Maybe 2011 will be the Year of the Sceptic rather than the Rabbit. We shall see. Many thanks to all those who have contributed to this January edition from all over the world. Many thanks too to those who have bought my books recently (Discounts now available via Lulu). Another Place to Die has passed the 2940 figure now and that cheers me up. I will be discontinuing this title soon as I am in the process of selling a new version of it to a mainstream publisher. Now if I could get Mean Tide or Diamonds to sell as well, I'd be really happy. It really does help keep Hackswriters going. Take care out there. Get writing. You probably need cheering up now but the Swine Flu Threat is not over 254 died of it in the UK this month for exampl. As of December 2010 there has been an outbreak in the UK and gowing fast. Few people took up the offer of the winter flu jab which included Swine Flu vaccine. It attacks pregnant women in particular and when schools go back watch out! Worldwide more than 214 countries and overseas territories or communities have reported laboratory confirmed cases of pandemic influenza H1N1 2009, including at least 18,398 deaths (WHO figures) since it began. Download my book Another Place to Die if you want to be ready for when the next flu pandemic really does take off in the future. *Many thanks to those who have ordered my book recently. Thanks too to those who spread the word on it. I really appreciate that.) Often being a writer, especially for one whose books are only mostly available on-line it is very isolating, but now I know it is selling every month it really feels as though the two years writing it were worth it.